ZETA introduces Dibasic Calcium Phosphate Product | ZETA Pharmaceuticals, L.L.C. ZETA Pharmaceuticals is proud to announce the launch of our Dibasic Calcium Phosphate, USP product. 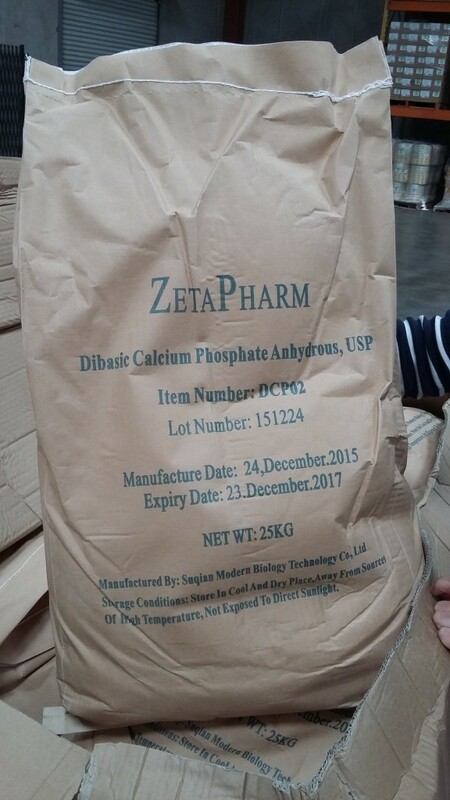 ZETA’s Dibasic Calcium Phosphate is the first raw material product to be marketed under the ZETAPHARM name.